A childminder who endangered a baby girl's life by shaking her during a "catastrophic loss of control" has been jailed for three years. Syeda Begum broke down and began sobbing in the dock as a judge told her he was sending her to prison at the High Court in Edinburgh on Tuesday. 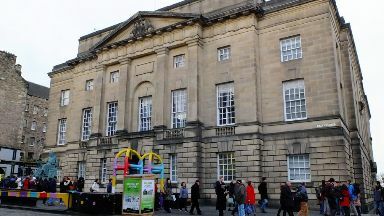 The 29-year-old first offender, who was earlier convicted of assaulting the eight month old to severe injury, maintained her innocence throughout the trial. The court heard that the child became floppy, had difficulty breathing and had a Glasgow coma score of only three - the lowest possible score. After the attack, which occurred Begum's former home in Aberdeen on January 1 in 2017, Begum did not immediately call an ambulance but contacted a friend who was the link between her and the victim's parents. High Court judge Lord Uist said that a report prepared by doctors involved in the attack victim's care said that when she arrived at hospital she was in "a critically ill state". The baby was found to be unconscious, cold and had poor respiration and was also discovered to have sustained haemorrhages to her brain and eyes. Lord Uist said: "In my judgement the evidence indicated she could have died had it not been for the excellent treatment she received from the paramedics who attended the scene and the doctors and nurses at the Royal Aberdeen Children's Hospital." The judge said that fortunately it appeared that the child victim of the attack by Begum has made a good recovery. The fact that Begum had no previous convictions and has two young children for whom she is the full time carer was also taken into account. Lord Uist said that expert medical evidence was that the victim's injuries could have resulted from "an unplanned and momentary loss of control" by Begum. The judge said he had asked himself whether it was a case that could be appropriately dealt with by a non-custodial sentence. Begum began weeping as he told her: "I have concluded it cannot. What you did almost cost the child her life." Lord Uist said there were aggravating features including that Begum as a child minder was in a position of trust. He added: "You have continued all along to deny your guilt, even after conviction, and have shown no remorse." Begum had denied assaulting the child at an earlier trial at the High Court in Aberdeen and told jurors: "I could never harm a child."